Who is a Common Sense Educator? Common Sense Educators are committed to helping kids and schools thrive in the digital age. Anyone who is an educator -- whether a classroom teacher, administrator, tech coach, librarian, homeschool teacher, preservice teacher, parent coordinator, or community partner-- can become a Common Sense Educator. Why become a Common Sense Educator? Earn a badge that publicly affirms your commitment to helping students think critically and use technology responsibly to learn, create, and participate. Build your confidence teaching digital citizenship and integrating technology into your classroom, school, or district. How do I earn recognition as a Common Sense Educator? The Common Sense Recognition Program provides a personalized roadmap for your professional growth! You can become a Common Sense Educator in three steps: LEARN, DO, REFLECT. Criteria and resources for the three steps are outlined below. Completing these prerequisites should take approximately four to six hours, while the actual application will take an additional five minutes. Criteria must be completed during the current school year. Applications are rolling. If approved, you earn a Common Sense Educator badge that expires in June 2020. Please apply anytime before June 30, 2019. Choose two different professional learning opportunities that level up your teaching practice. Attend a Common Sense webinar. You may choose to view two Common Sense webinars; doing so counts as two LEARN activities. Choose two activities that build your skills and engage your students. You may choose to complete any of the following activities twice, or mix it up! Host a family engagement event informed by Common Sense resources. Teach a Common Sense lesson, Digital Passport™ module, or Digital Compass storyline, or Digital Byte. Write a Common Sense Lesson Plan or a Teacher Review of an edtech tool and post it to Common Sense Education. We hope to learn more from you about your experience earning recognition as a Common Sense Educator. In the application, you will be asked to provide some details on how you feel the process of becoming a Common Sense Educator impacted you and your professional growth. All work must be completed during the current school year and before applying. Applications are rolling. 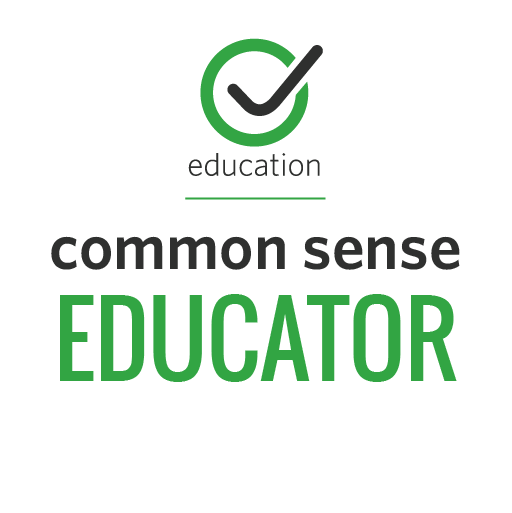 If approved, you earn a Common Sense Educator badge that expires in June 2020. Please apply anytime before June 30, 2019. If you earned recognition during the 2017-2018 school you do not need to reapply this school year. Please contact [email protected] if you did not receive your updated badge in July.